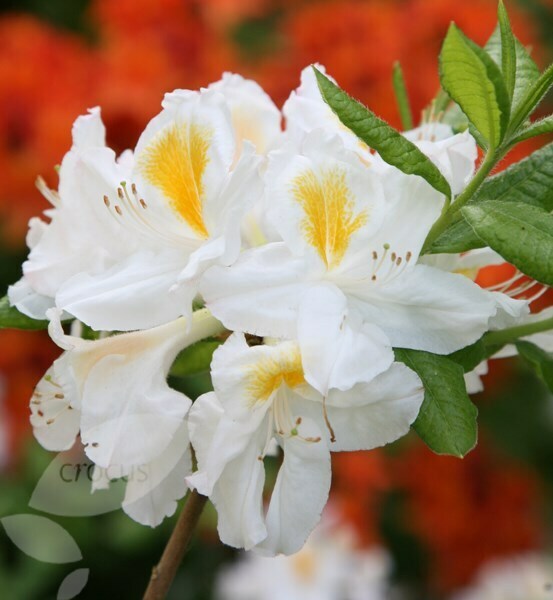 Producing magnificent heads of blush-white flowers, each with a daub of rich gold, this bushy, deciduous azalea looks fabulous planted towards the back of a mixed border. 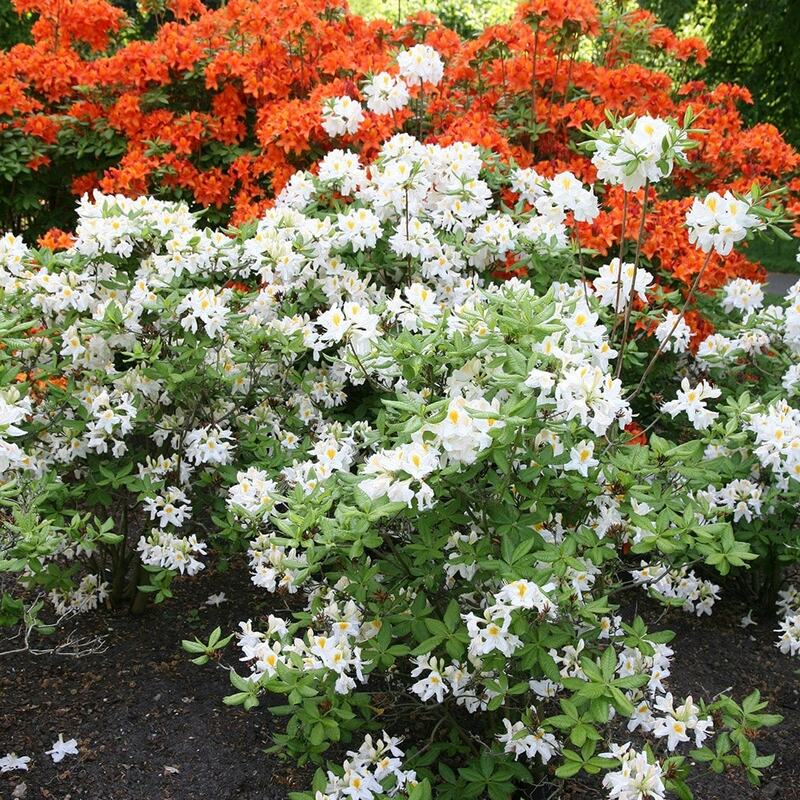 Its spring flowers and vibrantly coloured autumn foliage, which turns bonfire shades before it is shed, are perfect for topping and tailing the growing season. In larger, or more naturalised settings, it makes a sublime addition to the woodland edge. I bought this last year and it survived a cold wet winter in my rather exposed garden in south west Scotland. 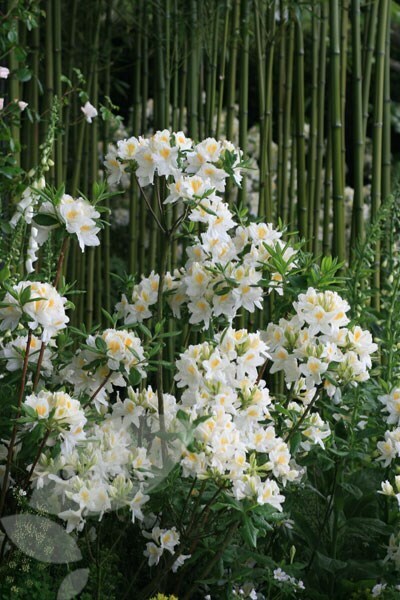 It produced a magnificent display of large flowers in late spring this year. I love it! Very healthy when it arrived and has put on a lot of new growth over the last few weeks.